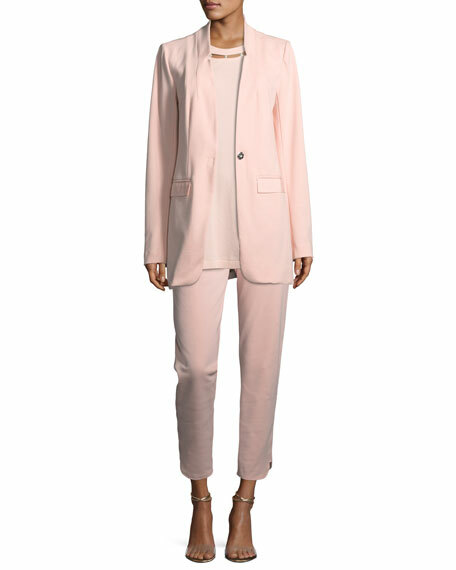 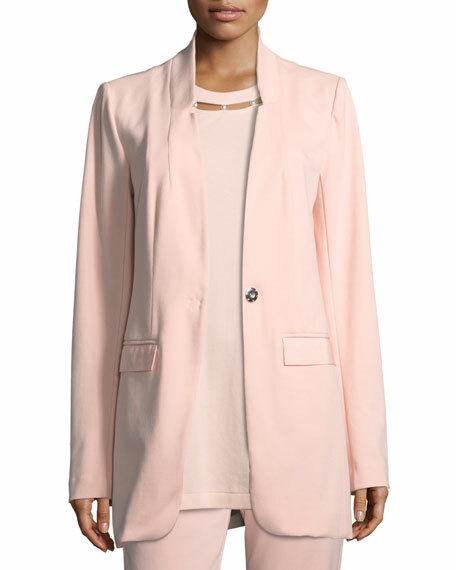 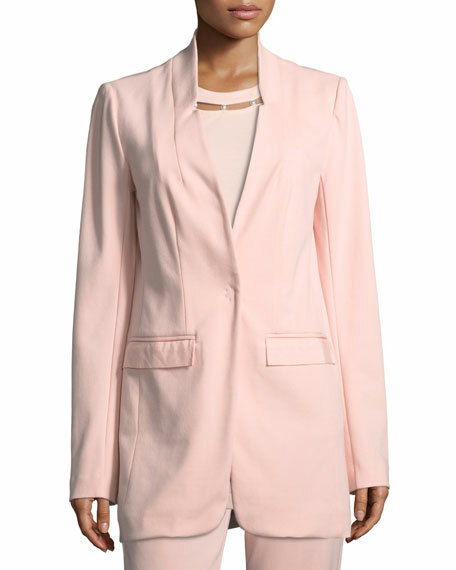 Joan Vass boyfriend-friend style cotton interlock blazer with grosgrain detail. 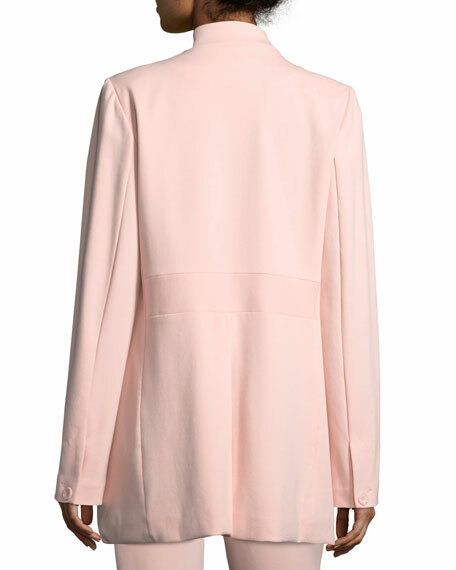 Flap pockets with grosgrain detail. 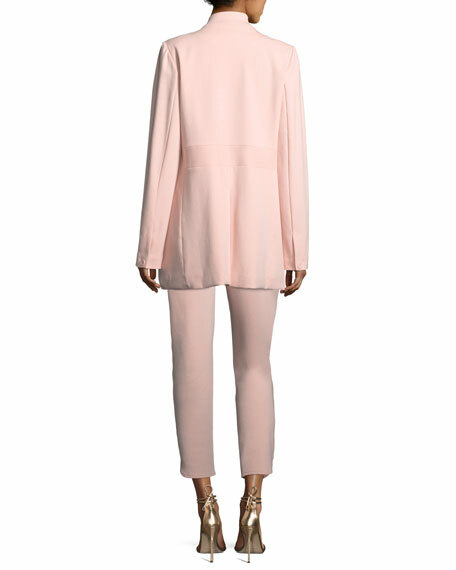 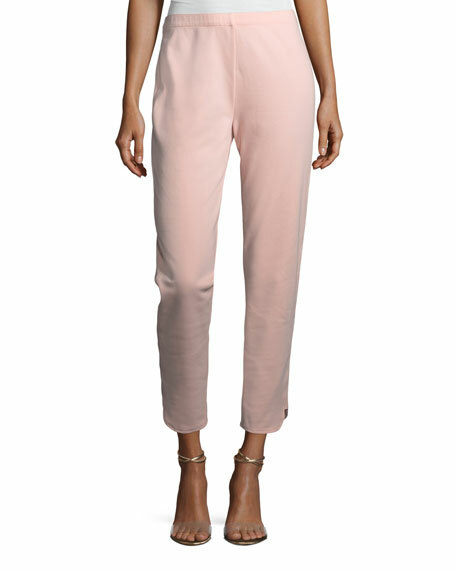 Joan Vass soft cotton-interlock pants. 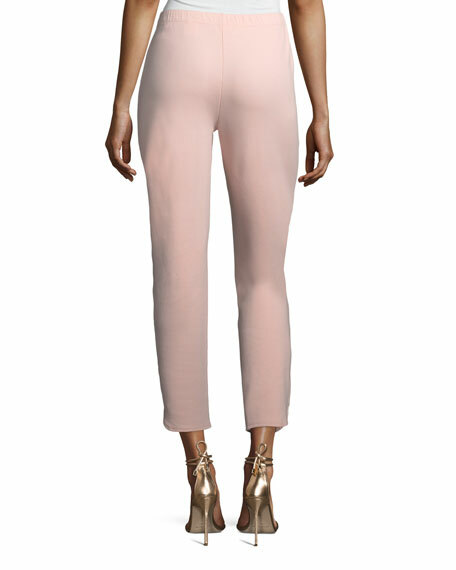 Ankle length with notched cuffs.